CHELSEA, Okla. — Students in Green Country are receiving life saving tools to use if someone they know is overdosing. “We can hide our heads in the sand and act like it’s not there but it is,” Matt Hagebusch, Principal at Chelsea High School, said. “We kind of learned a little bit about narcotics. we also learned how to help if someone overdosed by using Narcan,” said Haley Nixon. Nixon is a senior at Chelsea High school. 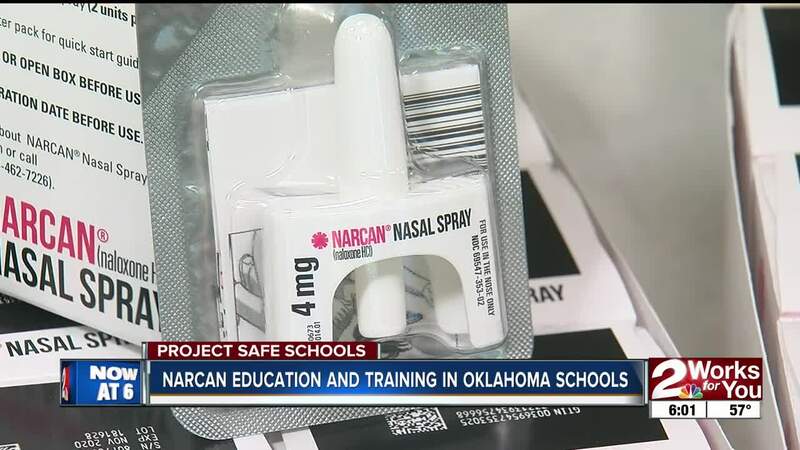 It's one of the first Oklahoma schools to receive Narcan education. Mary Kate Cole, the Prevention Field Representative through Oklahoma Department of Mental Health and Substance Abuse, said they not only teach students about what can happen if you overdose but the signs to look for if someone is overdosing. They also learn how to administer the lifesaving medicine. Hagebusch said there’s been some debate on whether students should receive this information. He said for him, it’s a no brainer to educate the students on something that could affect them or someone they love. “I think whenever you leave kids in the dark and they’re not sure and they don’t know potentially what is at risk, they might be more apt to make that decision and jump in there and try something,” Hagebusch said. Hagebusch hopes the education will help his students make better decisions. “I’m really glad that I learned about it and I would like to probably keep some on hand so I can help in that situation if the need arises,” said Nixon.